Winter can provide unique opportunities for equipment access and may be a preferred time for some activities such as performing tree removal. The winter of 2015 produced record breaking snowfall in Greater Boston. We’re often asked what we do over the when it snows. While many were busy clearing driveways and sidewalks or managing ice dams, we were busy caring for trees and doing a bit of shoveling ourselves. Despite the extraordinary weather, BTSE continued to perform tree work throughout the winter. The dormant season is a great time to remove or prune trees and a little snow isn’t enough to keep us from our passion. The first step in snowy conditions is to create room for our equipment to set up and a clear working environment for the our ground crews. 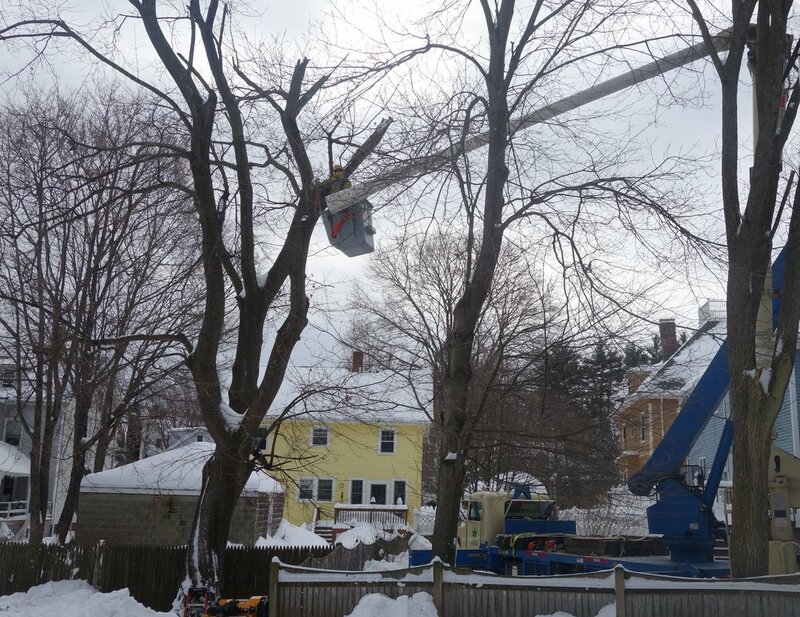 Taking advantage of wintertime temperatures provides firm ground often increasing access for equipment allowing large tree work to proceed efficiently. As arborists, we recognize the dormant season as an important time to work on large shade and ornamental trees. Caring for the health and safety of your trees and property is a year round process for us. BSTE is equipped and skilled to meet the challenges of urban tree care in all seasons. Is ActiveCare Right for You?